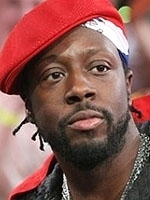 JANUARY 14--The Haiti earthquake has already triggered hundreds of thousands of donations to musician Wyclef Jean's charitable foundation, which expects to raise upwards of $1 million a day in the disaster's wake. However, Internal Revenue Service records show the group has a lackluster history of accounting for its finances, and that the organization has paid the performer and his business partner at least $410,000 for rent, production services, and Jean's appearance at a benefit concert. Though the Wyclef Jean Foundation, which does business as Yele Haiti Foundation, was incorporated 12 years ago--and has been active since that time--the group only first filed tax returns in August 2009. That month, the foundation provided the IRS with returns covering calendar years 2005, 2006, and 2007--the only periods for which it has publicly provided a glimpse at its financial affairs. In 2006, Jean's charity reported contributions of $1 million, the bulk of which came from People magazine in exchange for the first photos of a pregnant Angelina Jolie (the actress reportedly directed that the publication's payment go to Jean's charity, not her personally). As seen on these pages from the foundation's 2006 tax return, the group paid $31,200 in rent to Platinum Sound, a Manhattan recording studio owned by Jean and Jerry Duplessis, who, like Jean, is a foundation board member. A $31,200 rent payment was also made in 2007 to Platinum Sound. The rent, tax returns assure, "is priced below market value." The recording studio also was paid $100,000 in 2006 for the "musical performance services of Wyclef Jean at a benefit concert." That six-figure payout, the tax return noted, "was substantially less than market value." The return, of course, does not address why Jean needed to be paid to perform at his own charity's fundraiser. But the largest 2006 payout--a whopping $250,000--went to Telemax, S.A., a for-profit Haiti company in which Jean and Duplessis were said to "own a controlling interest." The money covered "pre-purchased...TV airtime and production services" that were part of the foundation's "outreach efforts" in Haiti. No further description of these services was offered, though the return claimed that "the fees paid are below market" and that the use of Telemax was the "most efficient way of providing these services."